ICF Construction – Insulated Concrete Form (ICF) is an energy-efficient form of construction. A system of formwork, ICF uses reinforced concrete usually made with a rigid thermal insulation that stays in place as a permanent interior and exterior substrate for walls, floors, and roofs. The forms are interlocking modular units that are dry-stacked (without mortar) and filled with concrete. The units lock together somewhat like Lego bricks and create a form for the structural walls or floors of a building. 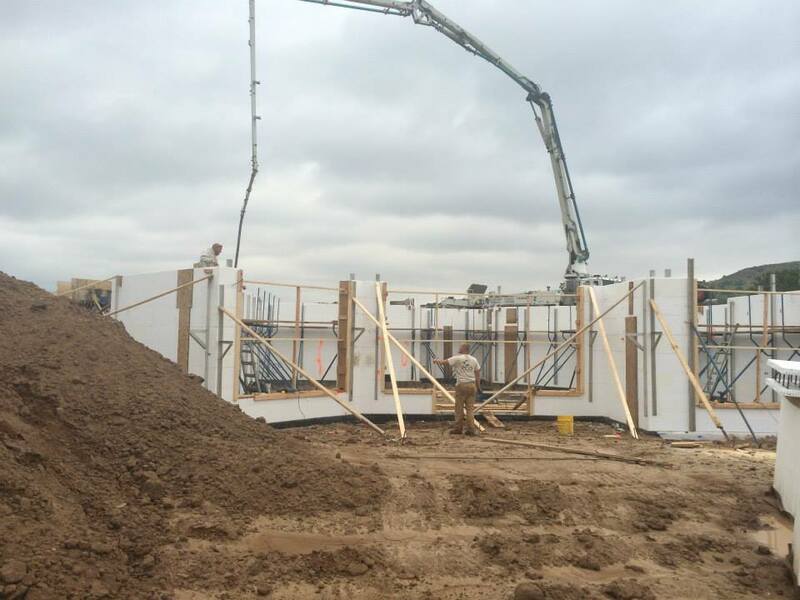 ICF construction has become commonplace for both low-rise commercial and high-performance residential construction as more stringent energy efficiency and natural disaster resistant building codes are adopted.